Note: this taxon list is still under construction. It does not yet contain all known Geotrupidae subgroups. Bertone, M., J. Green, S. Washburn, M. Poore, C. Sorenson, and D. W. Watson. 2005. 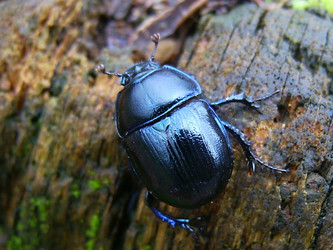 Seasonal activity and species composition of dung beetles (Coleoptera: Scarabaeidae and Geotrupidae) inhabiting cattle pastures in North Carolina. Annals of the Entomological Society of America 98(3):309-321. Errouissi, F., P. Jay-Robert, J.-P. Lumaret, and O. Piau. Composition and structure of dung beetle (Coleoptera: Aphodiidae, Geotrupidae, Scarabaeidae) assemblages in mountain grasslands of the southern Alps. Annals of the Entomological Society of America 97(4):701-709. Jameson, M. L. 2002. Geotrupidae Latreille 1802. Chapter 29 in American Beetles. Volume 2. R. H. Arnett, M. C. Thomas, P. E. Skelley, and J. H. Frank, eds. CRC Press, Boca Raton, 861 pp. Verdú, J. R., E. Galante, J.-P. Lumaret, and F. J. Cabrero-Sañudo. 2004. 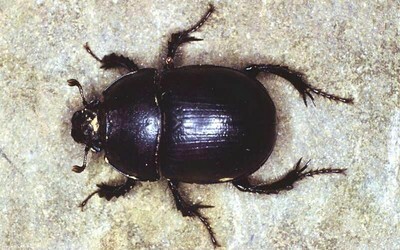 Phylogenetic analysis of Geotrupidae (Coleoptera, Scarabaeoidea) based on larvae. Systematic Entomology 29(4):509–523.